Intel and Levi have recently partnered to track your every movement when you shop for your next pair of jeans. Levi’s jeans have RFID tags that transfer data to the Intel IOT platform, mapping the journey of every single jean in the store. 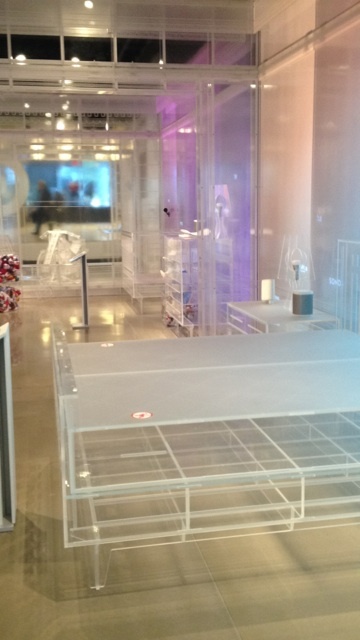 The platform can reveal when items are sold out and when they need restocking. It can show which items are in-demand and during what time. It can also reveal which items were taken to the dressing room, but then were left there when the consumer decided to not purchase. With this data, employees can now have a holistic view of the store and use their findings to improve the shopping experience for their customers. What are other ways that retailers are attaining and analyzing shopper data to improve the in-store experience? Many retailers are experimenting with different ways to engage their customers in their brick and mortar stores, by integrating the advantages provided by online shopping (Amazon) with the advantages of the physical shopping experience. 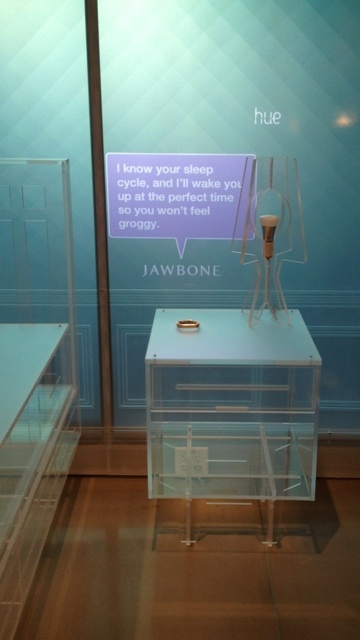 Neiman Marcus’s MemoryMirror attempts to shortcut the long process of trying and retrying on clothes. The MemoryMirror shows you a 360-degree view of yourself with the outfit on and allows you to compare outfits side-by-side. You can also snap photos of you to share with your friends on Facebook to ask for their opinion before you make your purchase. 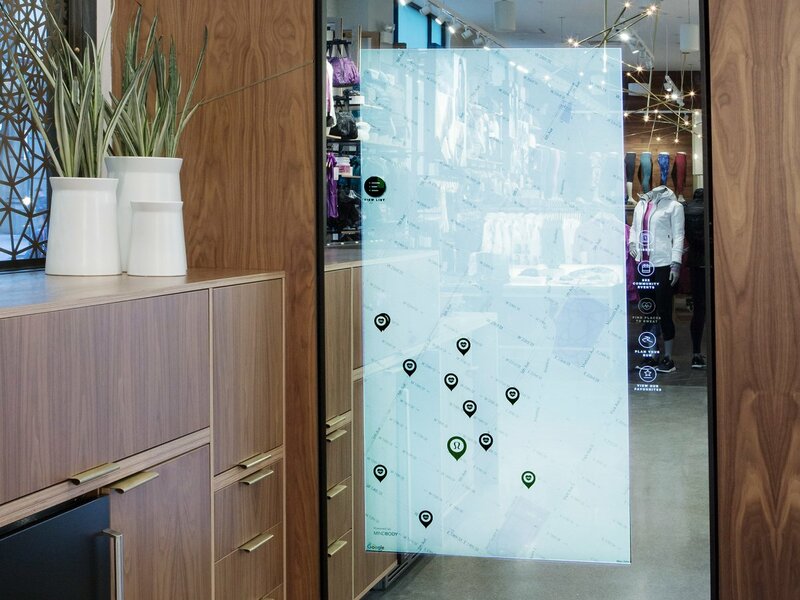 Lululemon’s mirror acts more like a digital community board that encourages their customers to engage with their community. The mirror has 5 options: “see community events” (where you can see different exercise classes, film screenings, and community discussions surrounding healthy living in the area), “find places to sweat” (where you can see a list of yoga, pilates, and other fitness classes to attend), “plan your run” (where you can see and view description of nearby running routes), and “view our favorites” (the favorite go to places of Lululemon customers in the area). Ralph Lauren’s mirror is located in the fitting room itself to transform the frustrating dressing room experience. 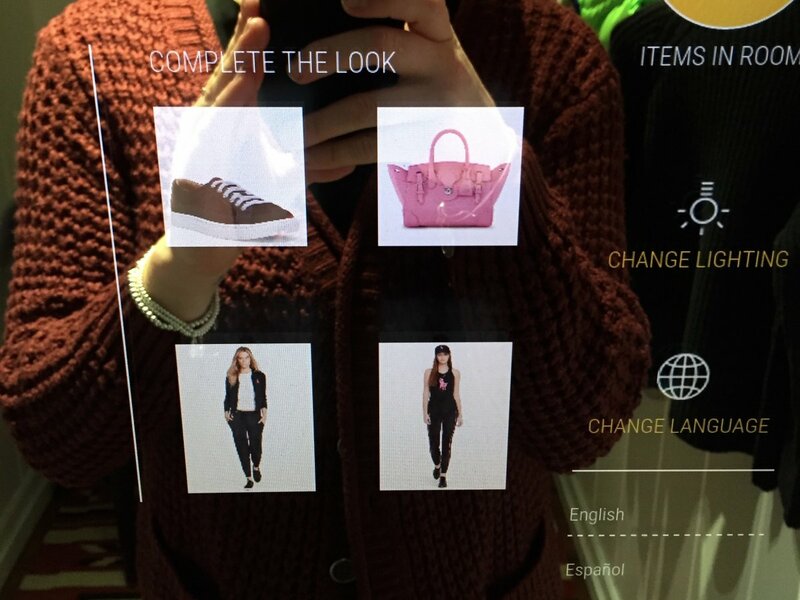 Shoppers can interact with the mirror to change the lighting in their fitting room and can select a different sizes or colors of their outfit, which an employee will immediately get for you. The mirror also recommends other items that would go with what you’re trying on. And if you don’t want to buy something that day, you can send the info of the item to your mobile phone. 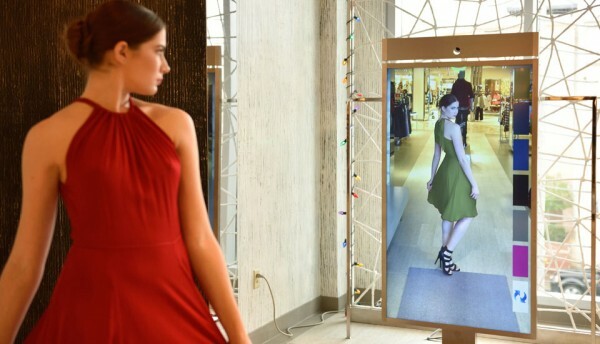 We look forward to seeing the impact on sales these smart mirrors will have and seeing how retailers will continue to innovate the in-store shopping experience. 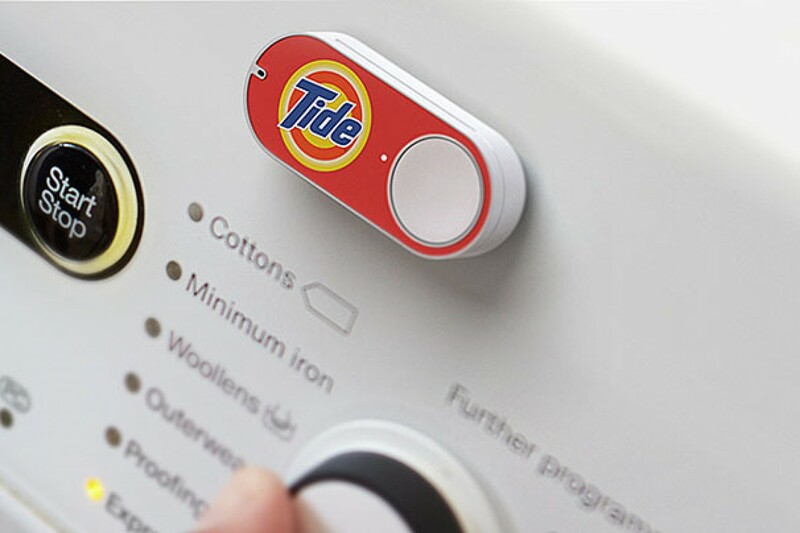 Amazon is reinventing the shopping experience again with the Amazon Dash. If you haven’t heard, Amazon Dashes are tangible $5 buttons (for Prime members) that you can stick anywhere, and when pressed, the buttons will automatically order and ship a single specific product to you. Stick a Tide detergent button next to your washing machine. Or a Charmin button next to your toilet. When you’re running low, you no longer need drive out to the grocery store or even take out your phone to make a purchase, but just press the button without a second thought. This is Amazon’s innovative approach to leveraging the internet of things to simplify the shopping experience, to bring the digital one click ordering to the physical world, and to create mindless habits that keep customers loyal to them. It has become apparent that Amazon Dash, along with the slew of “do-it-now” apps from Uber to Instacart, is completely changing consumers’ expectations for their companies. No matter what industry you are in or what service you offer, consumers will more than ever expect an instant and frictionless experience, much like the one-click apps they use on their phones. Ease of use and convenience is no longer a ‘good thing to have’ but a ‘must have’. And you must deliver beyond that to keep your customer – for they are less patient and more ready than ever to go to another website or another app that is faster and more intuitive. 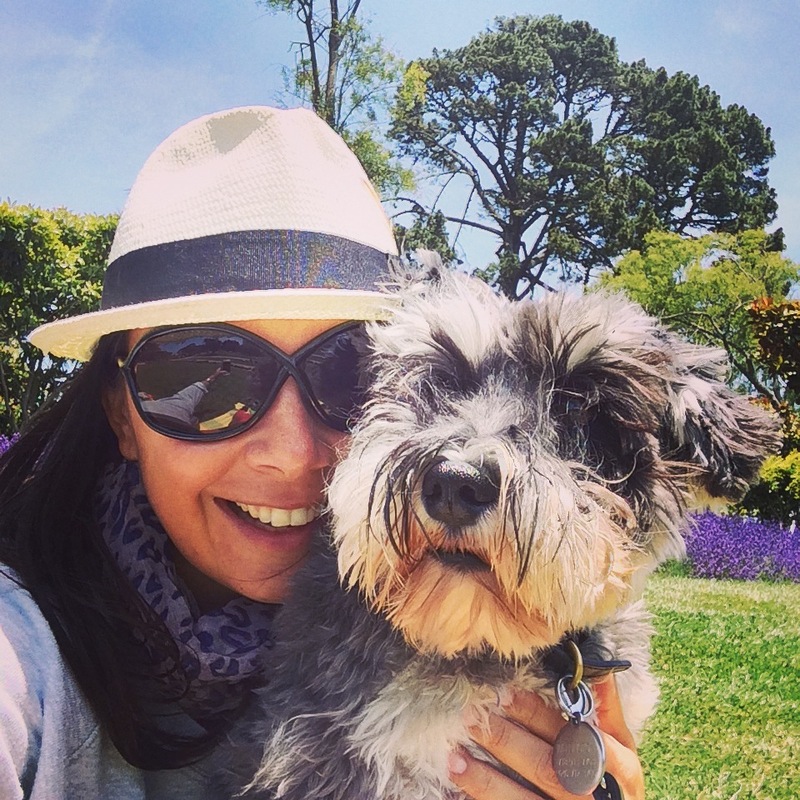 So how well do you know your consumers’ journey and the pain points they are experiencing? Do you know when they use your product differently than intended? Do you know all the pain points that your consumers’ experience when they interact with your brand? Where can you remove friction? Can you reduce 2 steps into just 1? Is there a point where the consumer would have to exert themselves to make a decision? How can you make the interaction more ‘mind-less’? 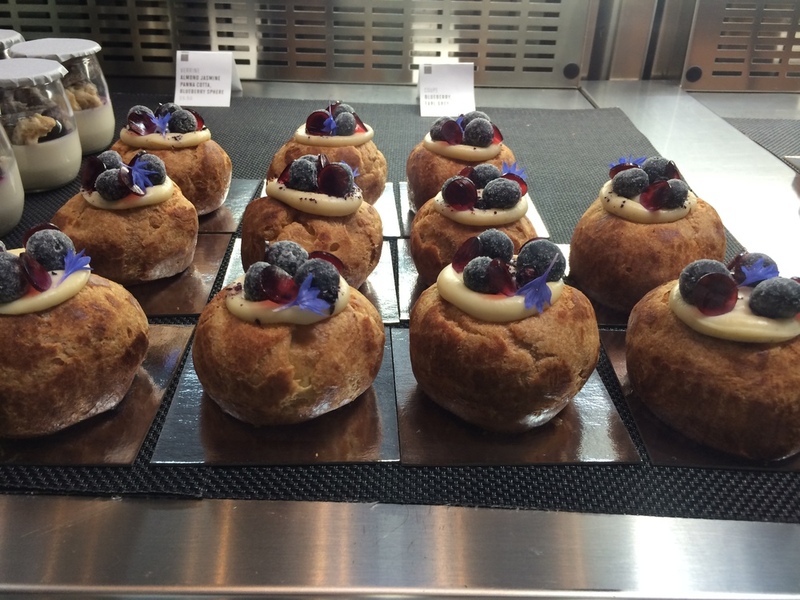 How can your brand deliver something delightful that your customer did not expect? By delving into your consumers’ journey, you can innovate your product or brand to meet the expectations of their “once-click” mindset. It seems like there is finally a competitor for Amazon. Introducing Jet.com.Unlike Amazon, you have to be a member to use the service which is $50 a year (similar to the Costco or Sam’s Club model). The membership comes with a few caveats – in order to get free shipping you will need to spend up to $35, which could be a deal breaker for certain people. It will also take 1-5 days to ship the order, and they don’t ship to Alaska.However, Jet.com promises that they will offer the cheapest price on the internet, about 10%-15% cheaper than other retailers. Boomerang Commerce crunched the numbers of the top 100 most popular products across categories and found that Jet.com was cheaper 81% of the time. However, according to some users, given the membership fee they must pay, many products they’ve wanted don’t have the lowest price as promised, but are comparable to Costco and Amazon. Another feature of Jet.com is the ability to unlock “smart card” savings on other items based on the “smart items” you add to your shopping cart. It’s hard to tell now if people will choose to shop at Jet.com over Amazon. Jet.com could have an advantage if they strengthen their support from retailers who are unhappy with Amazon’s revenue sharing and allow users to purchase items that you can’t find on Amazon. We are excited to see how the battle between the discount online retailers pans out. This isn’t Jet.com CEO and co-founder Marc Lore’s first battle with the e-commerce giant, having already sold his successful e-commerce business, Quidsi, to Amazon in 2010 for $550 million after years of competing. With Lore’s track record, will Jet.com beat out the e-commerce giant? Tempted to see what the hype is about, and if Jet is best for you? For a free 12 month membership with Jet after your first purchase, use this deal, total your regular purchases, and compare them to your total on Amazon. 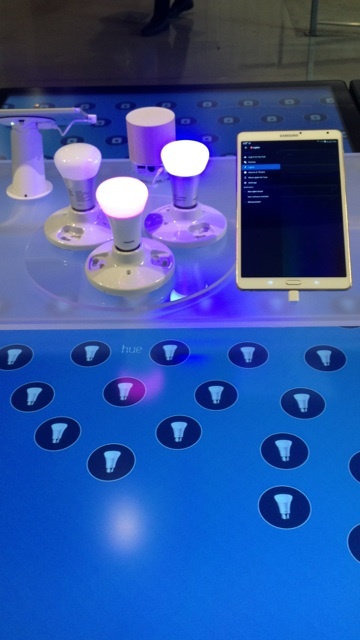 Smart devices are everywhere you look. You can get anything from the well-known Nest thermostat and Sonos speakers to the Philips Smart Light Bulb, Mr. Coffee WeMo Enabled Smart Coffeemaker, and Parrot plant waterer. And although we see and hear about these smart products everywhere, it’s easy to be overwhelmed and intimidated to actually use them. Demand for smart products actually dropped by 15% this year, according to August Insights, showing the market has still not yet infiltrated the mainstream. 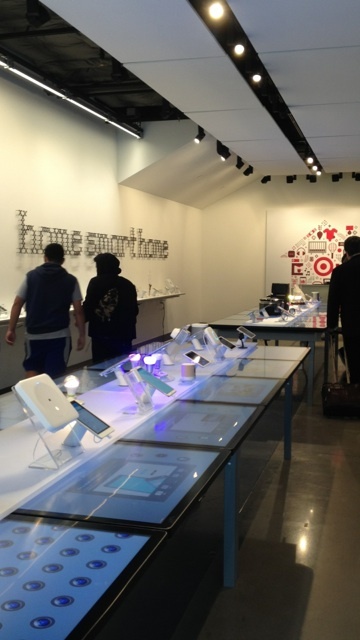 In an effort to make smart devices more accessible to consumers, Target opened up a futuristic concept home by the San Francisco Metreon to showcase how all their different smart products can talk to each other to make a better morning, evening and well, life, for you. I recently stumbled into the experimental space they call Open House, with its beautiful transparent acrylic walls and furniture that really highlight the devices. Each room has a tablet which you can choose from a variety of hypothetical scenarios that will play out, showing you how the devices work together. In one “morning” scenario, the baby starts waking up earlier than usual. The smart baby monitor Mimo then triggers the parent’s phone in another room to vibrate to wake her and get the baby as well as signals the coffee maker in the kitchen to start a cup of joe. How much nicer of a morning would my parents have had if these devices could talk to each other like that? I’m not a parent yet myself, but I have high hopes for how connected devices will surely help me with the joys and tribulations of future child rearing. 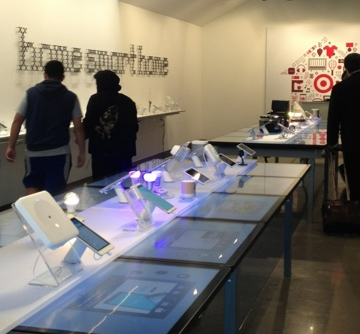 Target will take their learning’s from the way consumers interact with the products in the smart house as insight for future sale strategies. Hopefully Target’s efforts will be one of many that move our generation away from the seemingly excessive connected-hyped world, to one that can truly leverage the potential of the internet of things to create more seamless life-enhancing experiences. When most people think about gathering inspiration, they probably think about visiting a city they’ve never been to, retreating into nature, or reading up on the latest fashion trends. While there is a great of inspiration to be found in exploring the new and exciting and getting lost in thought, sometimes the best exercise for your insight muscle and creativity for innovation is simply acting as a tourist among familiar sights and sounds around you in your own city—or as we like to call it at antedote: streetscaping. Streetscaping is wandering around familiar or unfamiliar places with the lens of discovery and soaking up what’s happening, interesting, standing out, or even hiding. Your neighborhood is your best and closest resource to gathering information, and it’s amazing what you can discover in a few short hours. As researchers, it’s important to live as a consumer, to experience things firsthand rather than as you would expect, and to walk around with your senses heightened. Here are some things that I discovered this weekend while walking through my neighborhood with a new set of eyes, and no particular destination. 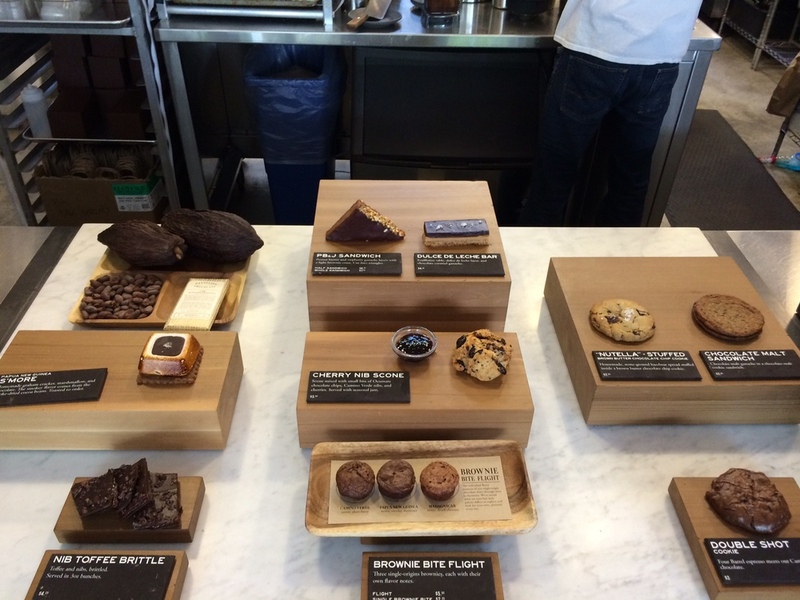 Craftsman and Wolves – On special occasions I’ll run by Craftsman and Wolves for their delicious pastries. I’m usually in a hurry, but today I had all the time in the world. These people are off the charts creative. Their love of food is evident in everything from the environment, to the presentation, and of course, the tastes. Dandelion Chocolate – I had received a gift from a friend that included some chocolates from this local shop. Intrigued by the packaging, I decided to drop by. Inside the store you can actually watch the chocolate being made. They also offer regular lectures on provenance (the next one featured someone returning from a sourcing trip to talk about what they found.) The entire place is extremely experiential. Mission Cheese – You don’t have to go abroad to experience amazing cheese. Walking into this store is like walking into a cheese shop in Europe. Self-edge – While food is a great way to experience the world with all five senses, self-edge is an emerging kind of space that’s all about sustainability, recycled materials, and of course, makers. At antedote we’ve done plenty of work with Makers, so I stopped by to chat with the staff about what they were doing, and of course bought a hat to replace the one I had lost in London. Creativity Explored – Another unique kind of space, creativity explored is “where art changes life.” It’s a space that people can come and create, or walk through galleries including everything from kids drawings to professional works of art. This place is the blend of an art studio and a gallery, and is a perfect example of inviting your clientele into the creative process. Dog-eared books – Second hand bookstores have been around for a very long time, so they are often overlooked when it comes to innovation. I made sure to drop by Dog-eared books to check out the local staff picks and to see what sort of themes are standing out to readers these days. 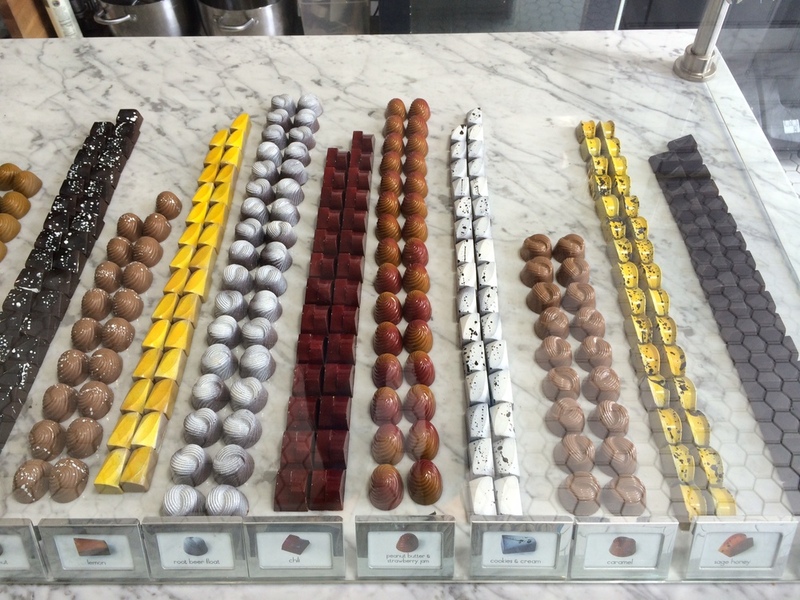 Chocolatier Blue – In case I hadn’t had enough chocolate, I dropped by Chocolate Blue. I paid attention to every detail in the chocolate presentation. Everything was so precise—and unlike chocolate that I normally eat—I sampled the unique options such as chili, waffles and ice cream, and caramel apple. The Chai Cart – I’m not a chai drinker myself, but one of my employees is, and so I brought back a brochure to share with her and pass on a bit of the experience I had that day. What’s most fascinating to me is that all of these places were right down the road from my apartment, but I felt as if I’d never been in the neighborhood before. I wasn’t working; I was driven by the love of curiosity to see what I would find. It’s obvious the implications that discovery and observation have for your work—borrowing from other categories is a key element of innovation. Practicing these skills of engagement and observation can influence your skills as a researcher as well. When you’re conducting research, you have to have your eyes and ears open to new things, or seeing old things in a new light. 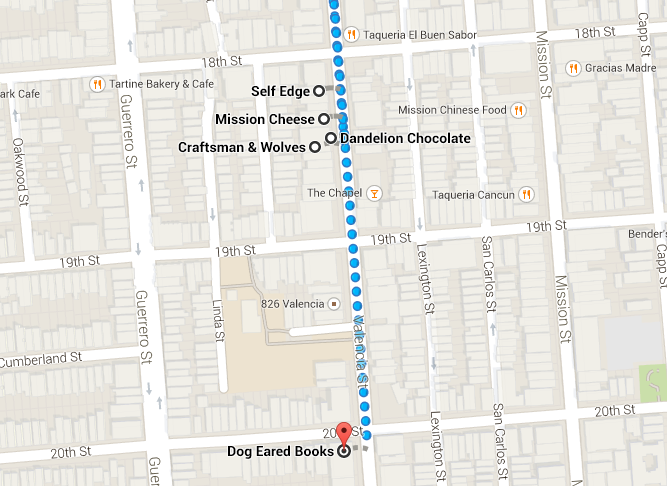 I parked my car on 16th, and only made it as far as 20th and Valencia, and I was gone the entire day. It started as an obsession with Duane Reade in New York City. Strategically located on every corner where one might need an escape from the city (i.e. every high traffic corner), DR became the safe place to stop and meander if I was bored, upset, or caught in the rain. Somehow, a stroll through DR would always remind me of some essential item that I needed to buy. 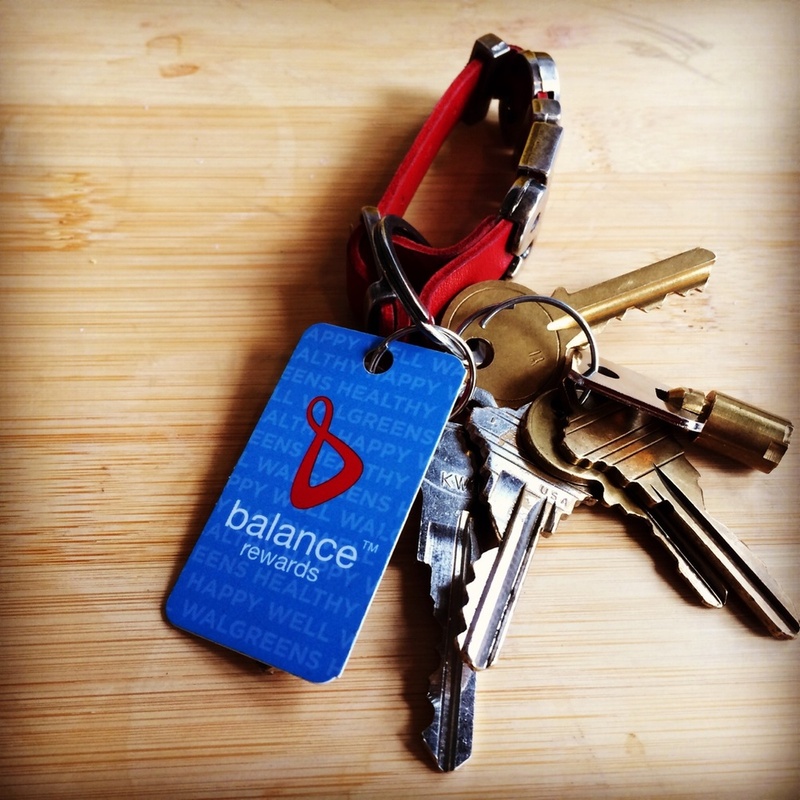 After I enrolled in my Duane Reade FlexRewards, I was officially hooked – and DR became the first retail rewards card to earn a coveted place on my key chain. Now that the store is no longer local to me, my love has easily converted to Walgreens (DR’s national parent chain since 2010). A couple years ago, my Duane Reade FlexRewards card was replaced with a DR/Walgreens Balance Rewards card. At the time I didn’t particularly think about the significance, but when I traveling outside the DR zone I began to automatically choose Walgreens over other drugstores in order to continue racking up points. When I moved to the West Coast, it was an easy switch from one to the other; I can go to Walgreens for a familiar experience and to reap the benefits of all the Duane Reade shopping I did in NYC. With the simple accessibility from one store to the other, Walgreens managed to keep my loyalty across brands. When I make purchases at Walgreens, the coupons printed for me are for products I’ve actually bought in their stores. A coupon for a dollar off an herbal supplement would go straight in the trash and leave me feeling annoyed, but a coupon for my favorite brand of dry shampoo makes me feel pampered and excited to receive a personalized discount. But who can keep track of paper coupons? Brilliantly, I can now go to my Walgreens app and “clip” coupons for products I want to buy. Those coupons go directly into my Balance Rewards, so they automatically apply when I use my card at the store. The only extra step I have to take is clipping coupons on the app, which becomes a fun pre-shopping game, and Walgreens has managed to get me actively involved with their media. Walgreens sends me emails about my prescription when it’s ready to be refilled, before I even remember that I’m running low. I can opt to send my refill to a different location than where the prescription was filed, which is particularly useful when bouncing between home and office locations. Better yet, Walgreens allows patients to refill prescriptions through QR codes on the label. These kinds of refill services aren’t particularly unique anymore, but Walgreens was one of the first to implement them. This guarantees that I’ll keep coming back – no other pharmacy knows me like Walgreens. The Balance Rewards program easily connects to my Fitbit, so I actually earn points for the healthy activity I would have done anyway. This visibly reinforces the idea that Walgreens rewards my healthy behaviors, and it makes me feel even more connected to the brand as one that supports me and shares my values. In summary, what’s the big reason I love Walgreens? It’s that Walgreens, as a brand, retail business, and rewards program, kind of acts like it loves me too. As long as there are Walgreens around, I’m not going to be shopping at Soap.com anytime soon.